Despite a late start, Moscow is keen to build trade relations with the emerging economic powers in Southeast Asia. Russia, which is entering the ASEAN market later than others, has in recent years failed to attend some of the region's major political forums. Having said that, there are serious signs indicating that its attitude to Southeast Asia has begun to change for the better. This is further evident from a series of promising projects that have been proposed by major Russian companies, including Rosneft, Russian Railways, Norilsk Nickel, and others. Russia's largest oil company, Rosneft, has invited Vietnam's Petrovietnam to co-operate in offshore oil production in Russia, its head Igor Sechin has announced. The Vietnamese company is studying the proposal. If Petrovietnam accepts the offer, it will join the list of the Russian oil giant's illustrious partners that includes the USA's ExxonMobil, Italy's Eni, and Norway's Statoil. Rosneft produces more crude oil that any of its competitors in Russia and pays more taxes than Gazprom. Rosneft has also invited the Vietnamese company to jointly develop oil and gas fields in Krasnoyarsk Territory, Yakutia, and Irkutsk Region. In September last year, one of Russia's biggest companies, Norilsk Nickel, announced its intention to build a copper smelting plant in Indonesia with a capacity of some 400,000 tonnes a year. In addition, the company is planning to develop copper and nickel deposits in that country. Talks on building at least three hydropower plants in Laos are under way. It is planned that part of the generated electricity may be supplied to neighbouring Thailand, which is experiencing a shortage of power. Talks on building a hydropower plant are under way with Bangkok too. There is also a project for the construction of Vietnam's first nuclear power plant. For the time being however, the statistics of Russian-ASEAN relations live much to be desired: Russia is not even among ASEAN's top 10 biggest trading partners. Its trade with ASEAN amounts to just $7 billion, while ASEAN's trade with China has reached $180 billion and with Japan, $160 billion. Russia's investment in the Indonesian economy is slightly over $3 million, bilateral trade is also negligible, a meagre $3.3 billion. Trade with Thailand in 2012 reached $3.4 billion, while trade opportunities with Myanmar for the time being are mainly centred about military-technical co-operation. Why are trade figures low? 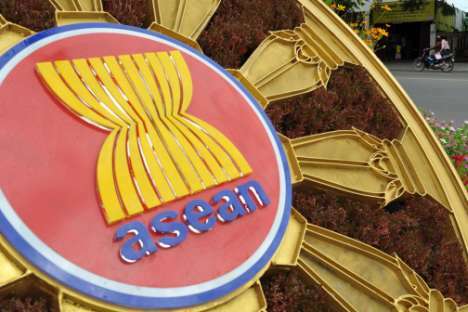 The executive director of the Russia-ASEAN Business Council, Viktor Tarusin, gives a harsh assessment of the current situation: "It would appear that we ourselves are not very keen on turning to the east. There are more declarations than there are real deeds. We seen unable to understand that in order to enter new markets, substantial investments are needed." One of the reasons behind Moscow's relative inertia in its relations with ASEAN countries lies in that Russian private investors have a primarily domestic focus. Another reason, according to Russian ambassador at large Aleksandr Ivanov, is that Russian state structures fail to pay sufficient attention to the needs of private business. At the same time, he continues, "private businesses in Russia often fail to engage with the country's Foreign Ministry and, as a result, find themselves at a disadvantage, being ignorant of the laws and customs of other countries". Another serious obstacle to the development of relations with ASEAN countries is the level of Russian infrastructure. Ports as well as railways in the Russian Far East are overloaded. The situation however may change, if there is political will from Moscow. Viktor Tarusin believes that "Russia should set up, for example, an investment fund for supporting projects in ASEAN countries. It is also necessary to ensure adequate representation at ASEAN events. Ignoring them vexes the countries of the region and causes misunderstanding." In any event, President Vladimir Putin's plans to attend the East Asia Summit to be held in the capital of Brunei in October this year serve as additional proof that Russia is truly turning towards Asia.